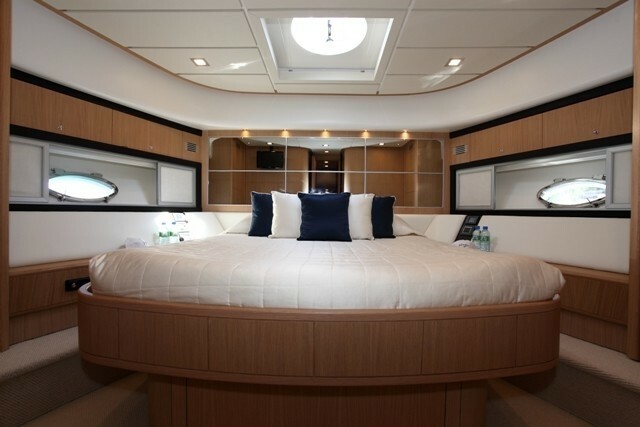 Motor yacht GABY is a unique Abacus 70 model yacht built in 2009. 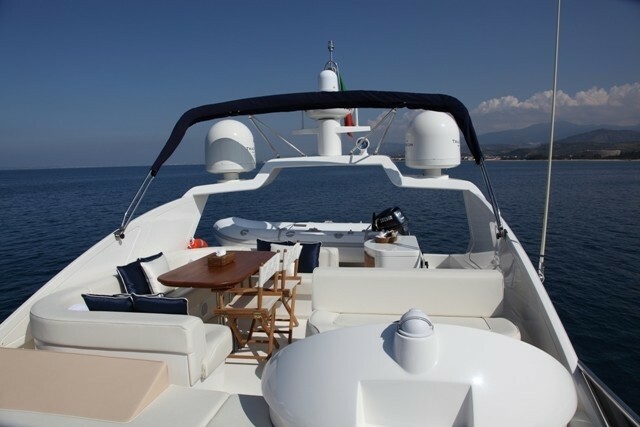 Measuring 21,47m (70,11") she has a strong character with aggressive, speedy and modern lines. 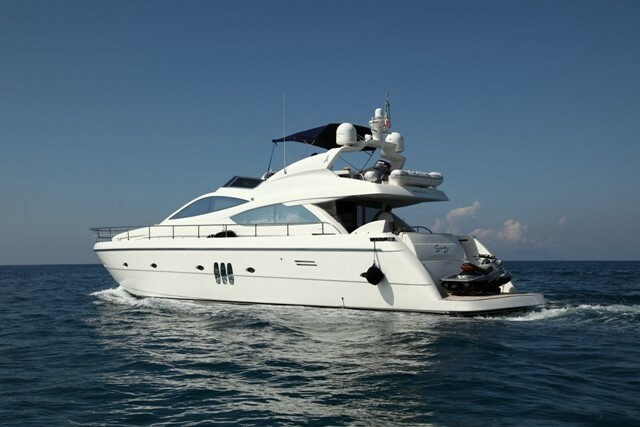 Motor yacht GABY can sleep up to 6 guests and is based in Sicily, Italy and the Western Mediterranean. 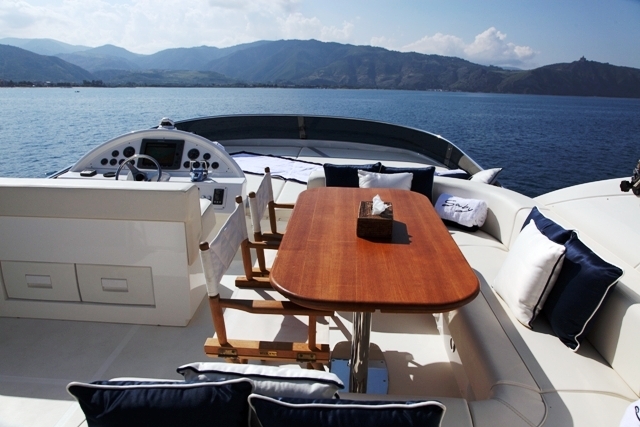 The Abacus 70 motor yacht is a luxury type Fly-Bridge designed by the famous architect Fulvio de Simoni. 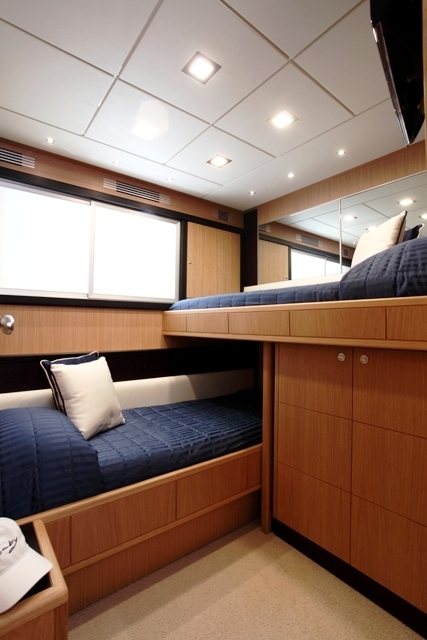 The 70ft model GABY is a perfect synthesis of the latest generation design, functionality, comfort and performance, with large spaces that allow you to live aboard for extended periods. The purity and the elegant simplicity of her exterior lines are further enhanced by her stretched windows enabling a full view from the interior. 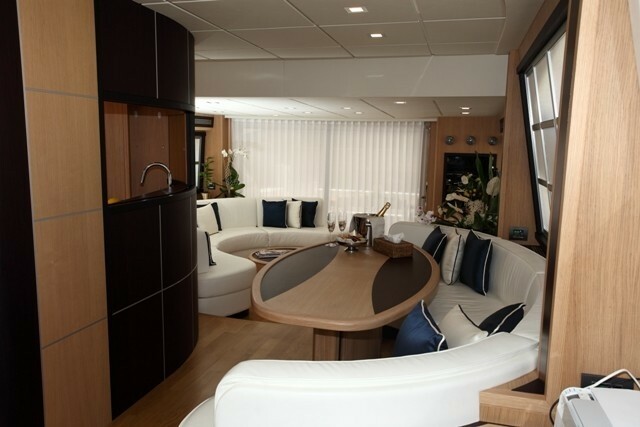 Motor yacht GABY’s main salon is stylish and spacious with a large u shaped couch to starboard, and a large u shaped couch to port further forward in the dining area, mirroring the salons layout. 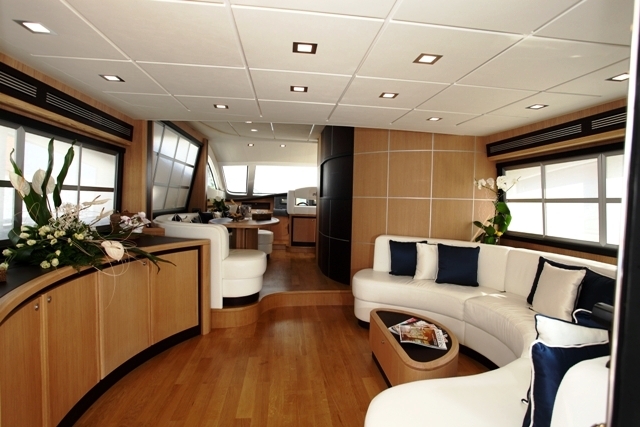 With crisp white leather couches, light wood and the large windows, her salon is spacious, chic and comfortable. 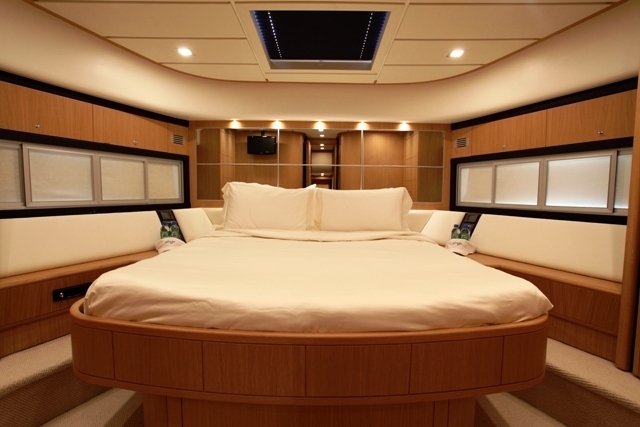 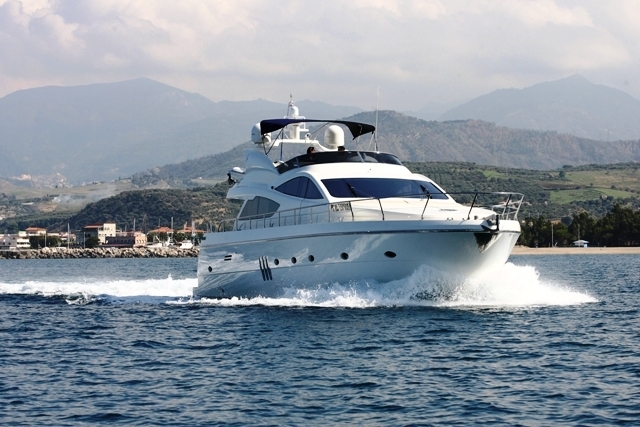 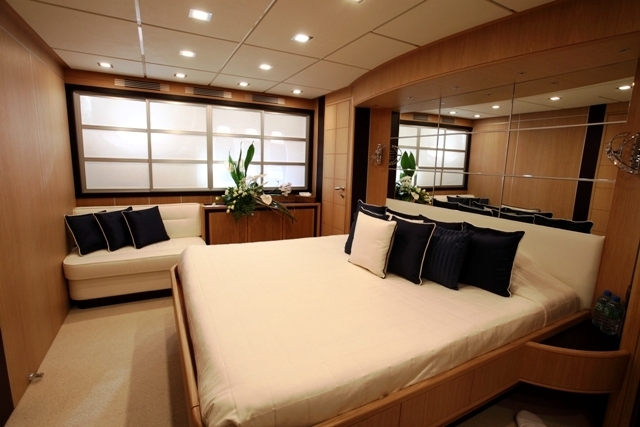 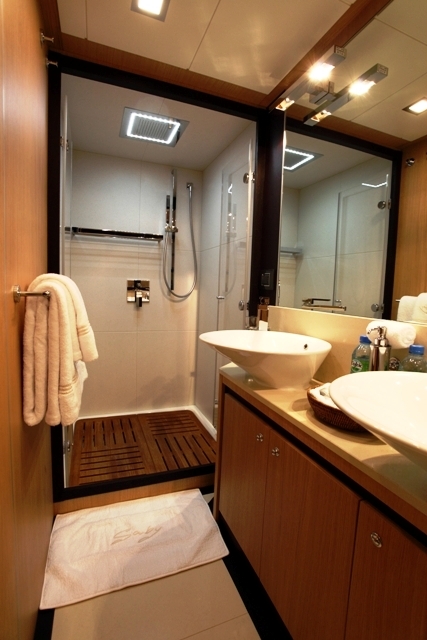 The Abacus 70 motor yacht GABY can accommodate 6 guests in 3 cabins located on the lower deck. 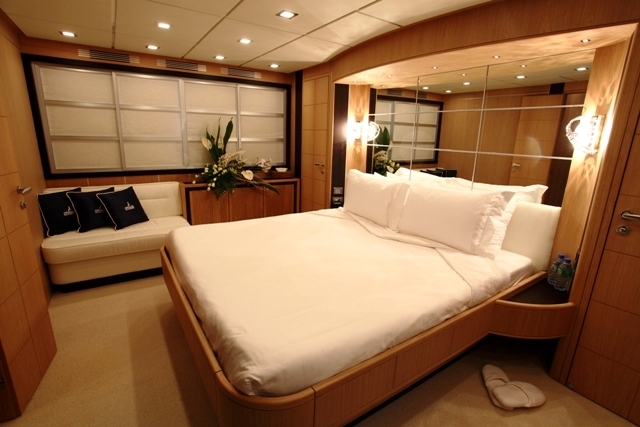 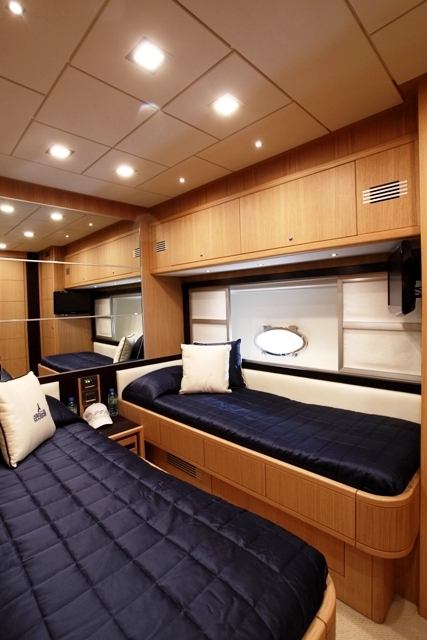 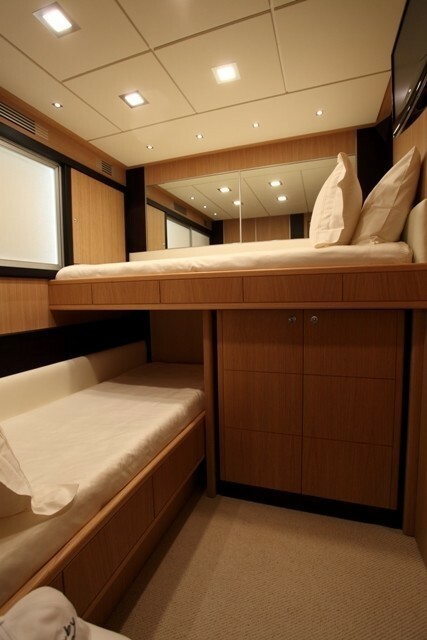 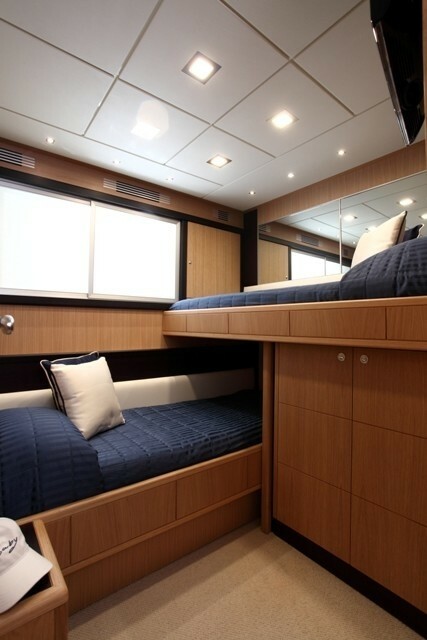 The Master and VIP cabins have a double bed, while one further cabin feature twin beds. 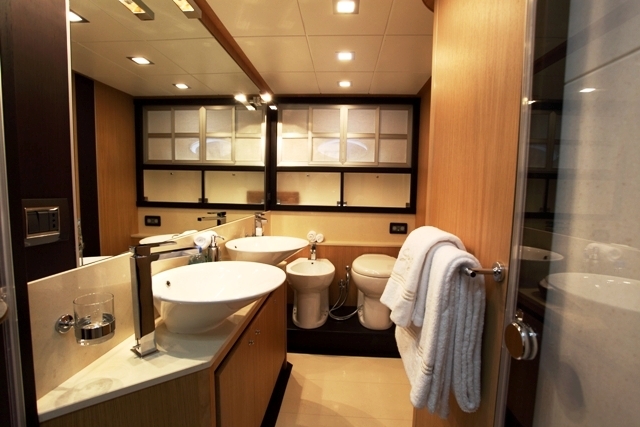 Motor yacht GABY also features spacious exterior areas, especially her fly bridge which has space for dining el fresco and sunbathing. 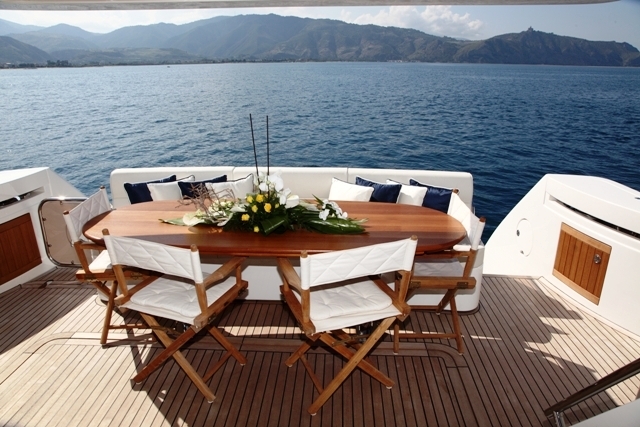 Her aft deck also has fixed seating and another dining table for el fresco meals. 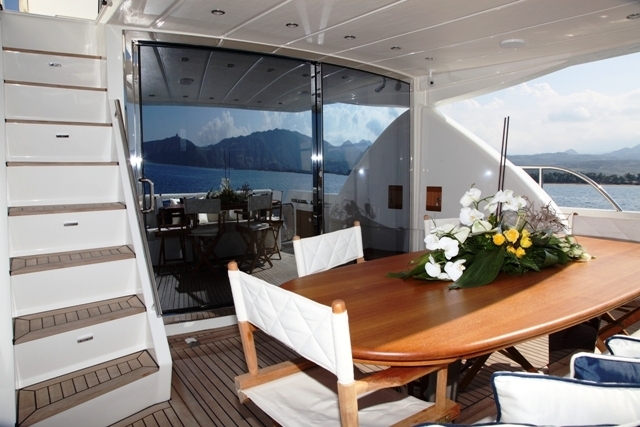 The aft deck has stairs leading to the fly bridge above and down t the swim platform so you can enjoy the yachts array of water sport toys. Motor yacht GABY has a Tender and a Jet Ski Seadoo. 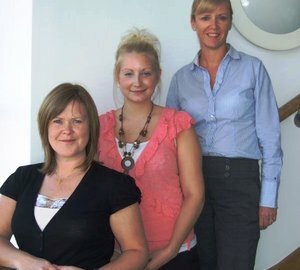 Please contact us for further details on her extras and amenities.